One of the most expensive parts of many fishing trips these days can be the bait purchase, but it need not be the case. Most ‘serious’ missions required a good amount of bait and berley, where it be land or boat based. Let’s start with berley. Making your own berley ‘bombs’ is a simple, if not messy, task. There is a little initial capital outlay in the form or a decent mincer and a cleaver of some description. At various times during the year anglers will encounter schools of kahawai and skipjack tuna for example. Take the time out to catch a few, especially skipjack, extra than what you need for eating. After the fish has been filleted, chop up the head and frames and put in a bucket which is then placed in the freezer. When you have enough heads and frames, thaw them out and put through the mincer. To make this go a little further, add in some pig pellets and some genuine tuna oil. The pig pellets absorb the oily juices and add a little substance to the berley trail. Thoroughly mix the ingredients and place in one-litre plastic icecream containers or milk bottles. These are then frozen and taken out when required. We mentioned skipjack earlier. Many anglers make a day in autumn to go and target skipjack tuna, individually bagging and freezing them to provide a cheap bait supply in the future and one where the quality is better than any available at retail. Others like to fillet their tuna and chop the flesh into bait-sized pieces. These are placed in handy one-litre icecream or similar containers along with some butcher’s (rock) salt. The value of this bait is it doesn’t need to be frozen – useful for multi-day trips where there is limited cold space to store bait. There are plenty of other sources of bait. If you are fishing a tournament, take time the day before to go and target bait. Jack and slimey mackerel schools are perfect snapper baits. Fresh mackerel is gold when straylining and is only bettered by a live version! Buy some sabiki flies and head out to target your own bait. Treat the baits well, icing them after they have been caught. Any leftovers can be bagged and frozen in small numbers for future use. Mullet are not only great smoked, but they make great snapper bait. Shallow, protected bays with a sandy bottom are perfect places to drag a bait net. Throw some bread or bran in the area you want to work over before running the net around it. Fresh piper and yellow eyed mullet are great additions to the bait box. Handled properly, this bait can be stored for future use by freezing it. Like skipjack, the addition of a handful of salt to a dozen or so sprats will see them kept in a firm condition and good to go the next time you head out. 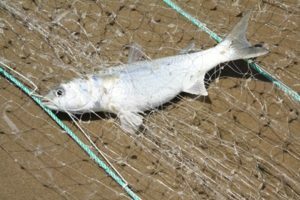 Similarly mullet is another great bait that can be netted from both the inner harbours and in the shallows of surf beaches. They are great smoked, but are equally valuable as a nice oily bait for various species. 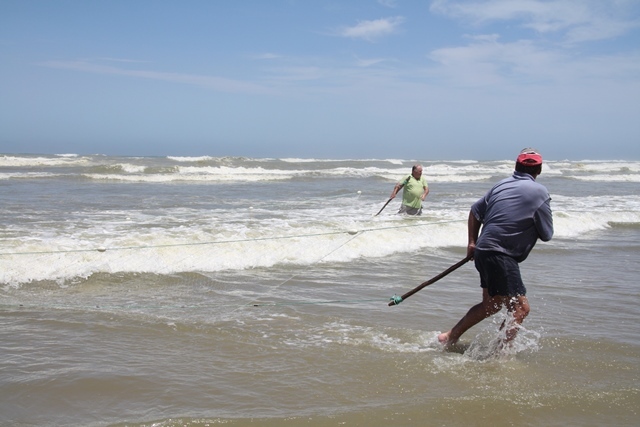 Gathering bait is an exercise that can involve the family in the bit of fun. Go on a mission to the local wharf and put some bait in the bin. The kids have a blast and you get fresh bait. Similarly, shellfish such as cockles, pipi and tuatua are great for catching a wide range of species, especially tarakihi. While these can be deployed fresh out of the shell, a light steaming to firm them up a little is helpful. So there you have it…free bait!